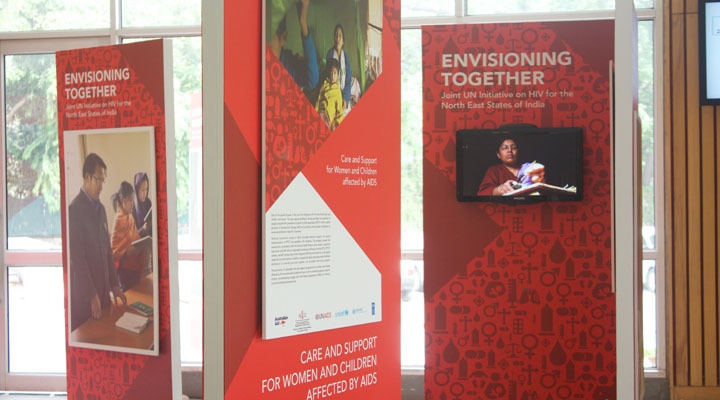 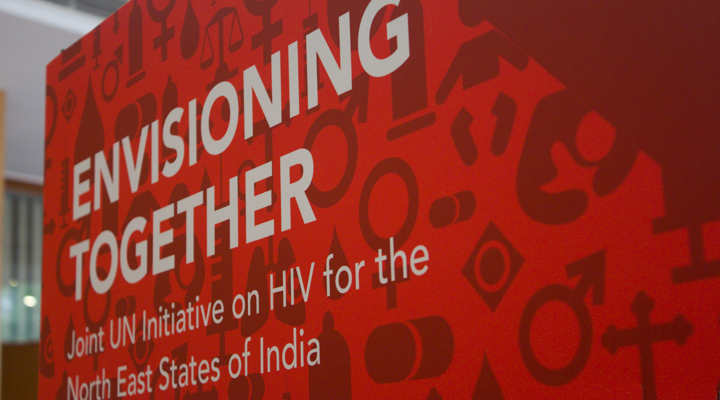 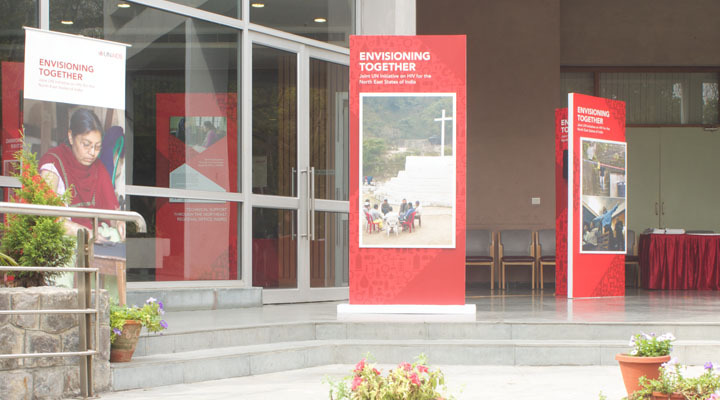 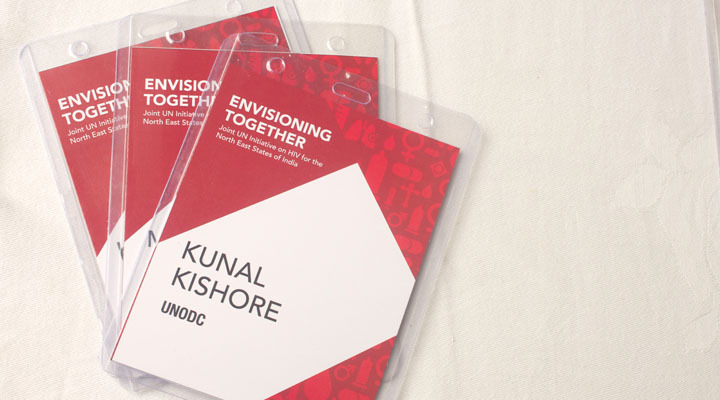 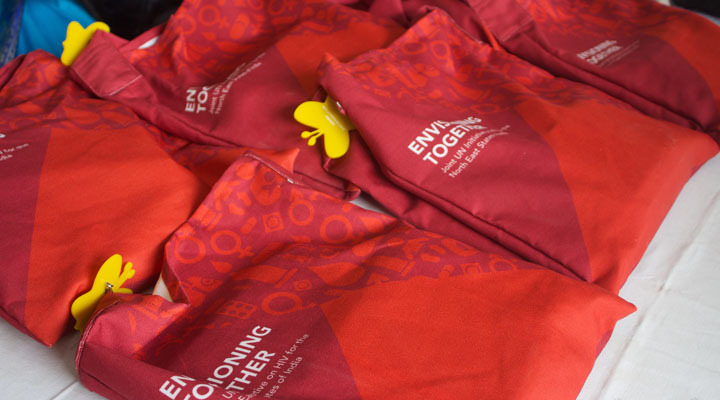 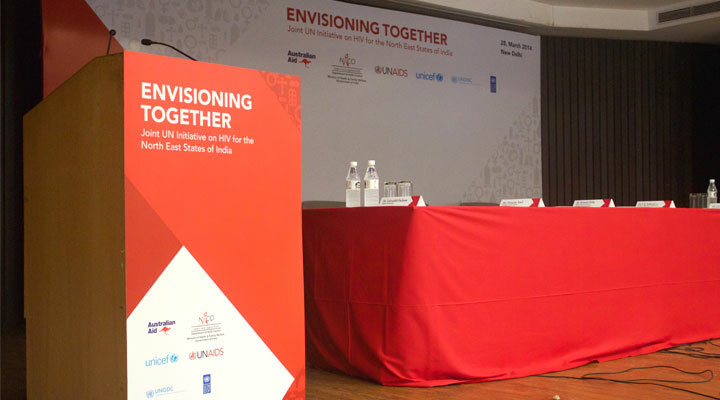 A complete exhibition identity package was designed and implemented for a conference organised by UNAIDS at India International Centre, New Delhi. 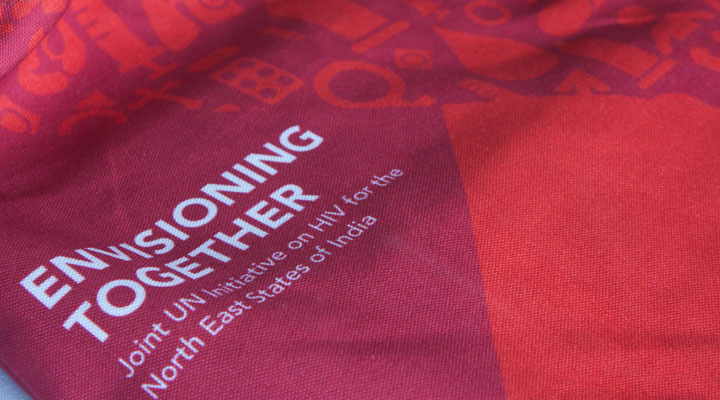 Since the conference had its focus on the work done by UNAIDS in the North Eastern Part of India, the conceptualization of the display identity was done taking from tradition weave patterns common to most states of the North East showcased through a contemporary lens. 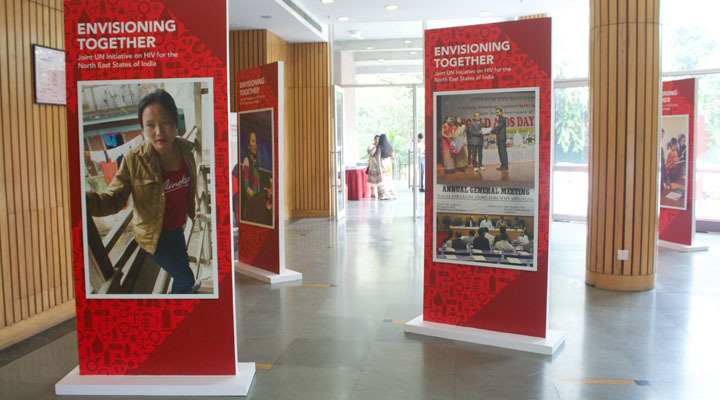 The display elements comprised 10 kiosks, banners, standees, advocacy documents, jholaas and stationery relevant to the conference.